Dawson Jewellers and watches specialist is a family run Jewellers which is located in the heart of Dublin City Centre for over 30 years. We specialize in high-end watches and luxurious Jewellery We pride ourselves on offering quality watches and Jewellery items at the best possible prices. All of our pieces come with our guaranteed back-up service. Nothing makes us happier than to see our customers return time and time again due to our total commitment to price, quality and customer service. Whether you’re shopping with us for the first time or have bought from us many times before, our goal is to make your shopping experience an enjoyable one. Our website will help you in your initial inquiry but nothing beats our personal one-to-one service. Our highly trained staff, Ken, Fiona, Steve or Leo, are on hand to deal with any inquiry you might have. We offer a wide range of services such as watch refurbishment, watch servicing and repairs which would include battery and strap replacements. 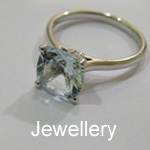 Also we provide Jewellery and watch valuations for insurance purposes. Browse our Jewellery, Services and Watches Ireland. Our wide selection of timepieces, are second to none. 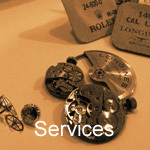 Our Swiss trained specialists are on hand to deal efficiently and professionally with any issue that might arise with your watch and we use only genuine replacement parts. 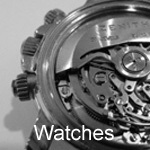 Modern trends in wristwatches, have seen the resurgence of the Swiss watch. Swiss brands are know throughout the world for their superior engineering and design aesthetics. 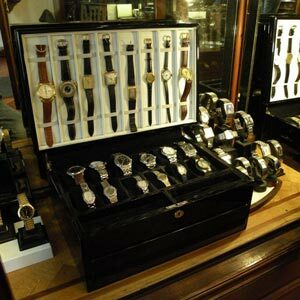 We carry an extensive stock in store including Rolex, Cartier, Patek Philippe, Breitling, Tag Heuer, Omega. We are known as the store that other Jewellers come to. We are sure that you will find exactly, what you are looking for at our Dublin city centre shop. We look forward to making your experience a very special one. For more information or to view our range of watches, please use our contact form or call us on 01-6624437.